We really love getting into the spirit of Halloween at KES! This week was packed with fun and festive celebrations, including a Prefect orchestrated haunted house, a costume dress up and dance day, scary movies, pumpkin carving and more. 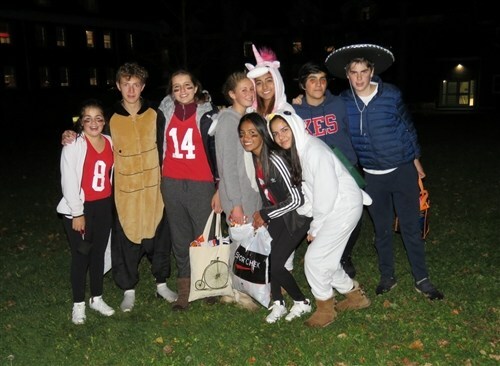 If this was not enough, we then had many students take part in the traditional Halloween night, complete with trick or treating, costumes, and walking house to house to collect treats on campus and in the town of Windsor. Nine of the residences on campus, including the homes of our Heads of Residence, Director of Admissions, Houseparents, and Headmaster, were giving out a variety of treats. A group of over thirty junior students also ventured off campus to local homes, and many of these students had created completely new costumes on their own for the evening’s festivities! It was a perfect Halloween night; mild weather, dark skies, and just the right amount of creepiness in the air! 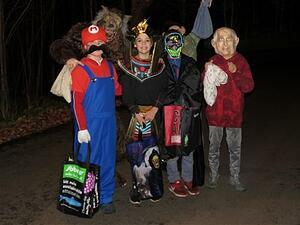 A huge thank you to our in house trick-or-treat chaperone, Federico Cisneros, who has been taking KES students out to experience this tradition for many years. Our hometown is the perfect location for International students to go to school. The town of Windsor is English speaking and our students will be speaking English as he or she interacts with the local community. 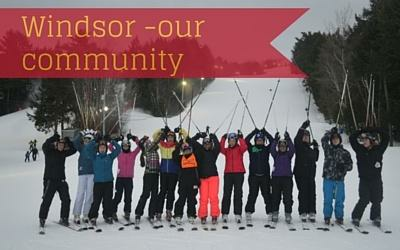 It is a safe community that is alive with many recreation activities for all seasons. Download our Photojournal to learn more about the town we call home.